Climb on Europe’s highest sea-cliffs! People climb everywhere – on the coast, on the tors of moorland regions, high up on exposed faces of mountains and indoors on purpose built climbing walls. We climb on sea cliffs & disused quarries which are dramatic and inspiring climbing environments. 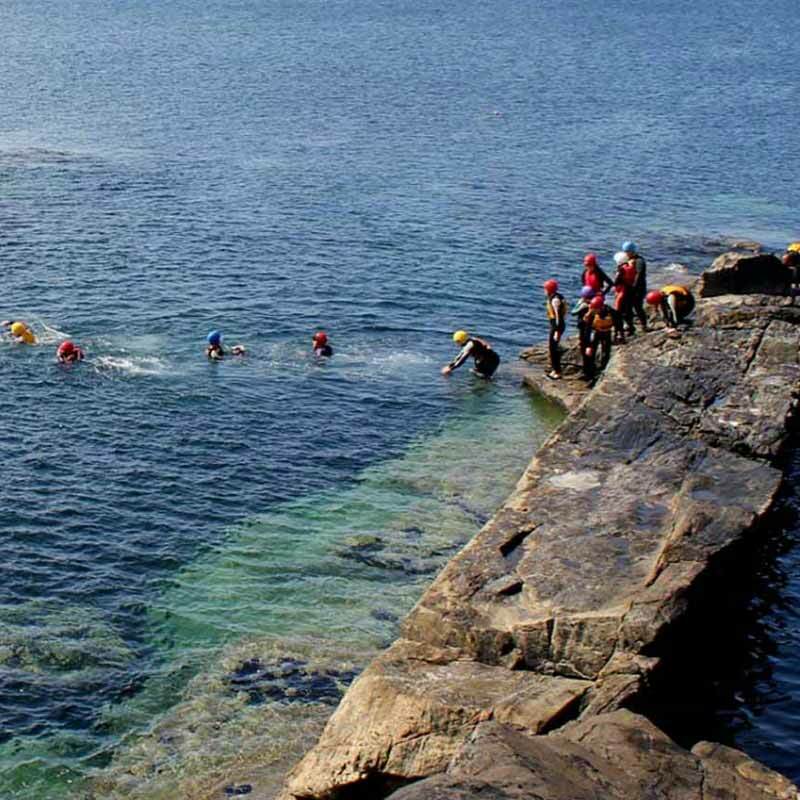 You will experience real exhilaration and the satisfaction of conquering a rock face with the sea crashing beneath you. Climbing is becoming a mainstream and very popular activity. Many people living in cities use their local climbing wall to keep fit and practice difficult moves on, so they are ready for their next route out on the real rock face. Climbs are graded and you will start off on an easy route to gain confidence and then if you choose you can gradually stretch yourself. If you are up for it you can take on a tricky route and get the adrenaline rush of being exposed on a rock face. It at this level life gets into perspective and you become totally focused. We have a number of amazing climbing sites. 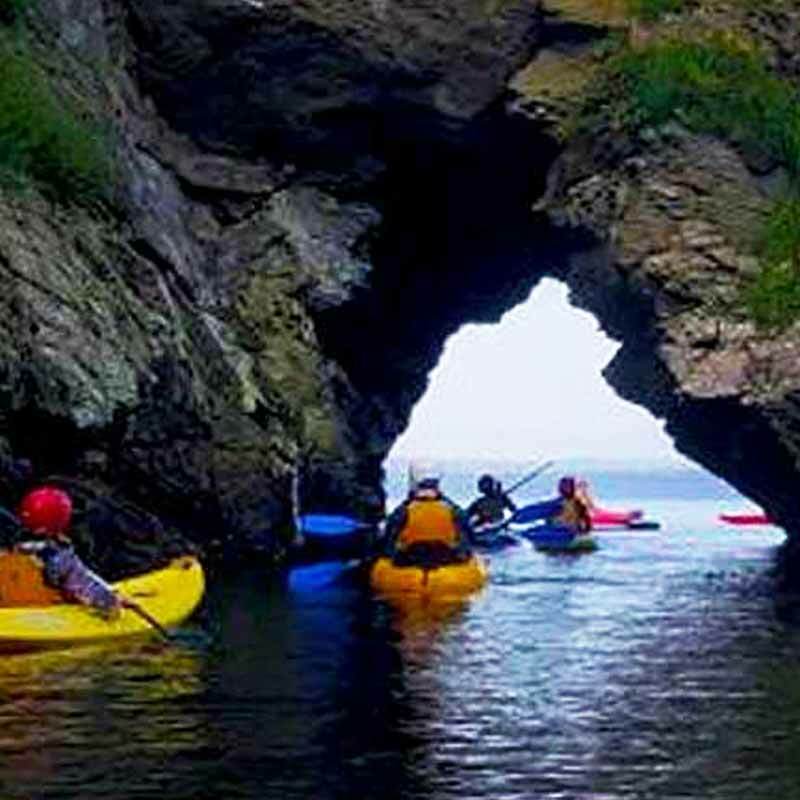 A tidal location a short distance from the centre in a secret unvisited cove and a rock face perched half way up a cliff that we can use at any stage of the tide. Both have stunning unrestricted views north and south up the coast. These awe inspiring locations offer many different grades of route for the beginner to the most experienced climbers. Wildlife is all around you! Fantastic range of fun and exciting activities for your group to choose from!